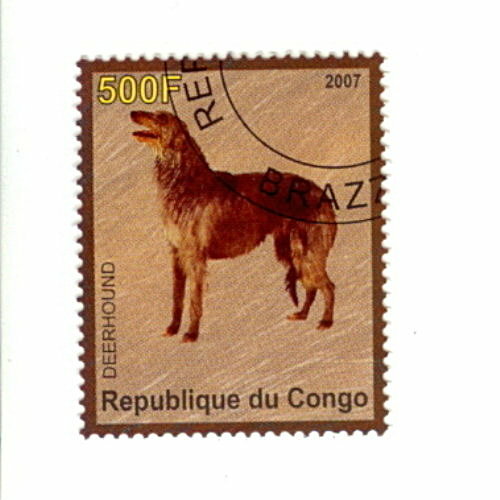 Yes, I have a big stamp collection over dogs, wild dogs and wolves. 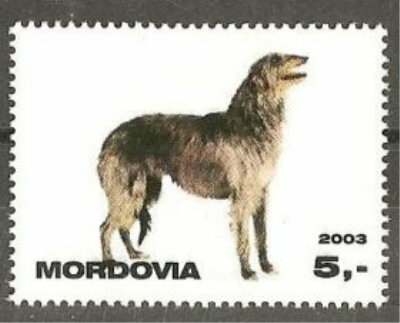 I have a new Deerhound stamp in my collection. The Republic of the Congo (French: RÃ©publique du Congo) is a country in Central Africa. I still have a new Deerhound stamp. Karakalpakstan (Qaraqalpaqstan RespublikasÄ± )is an autonomous republic of Uzbekistan. Its territory covers the classical land of Khwarezm, though in classical Persian literature the area was known as "KÄth". 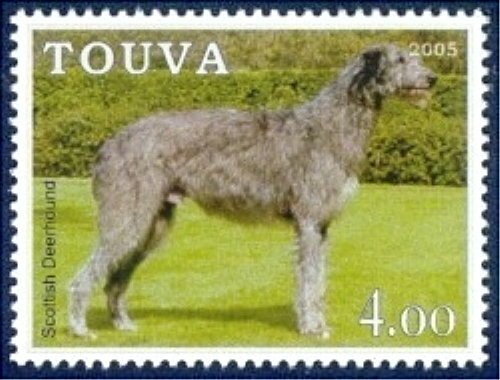 This is the last new Deerhound stamp of my collection for today. Touva is a federal subject of Russia(a republic). The Republic is situated in the far south of Siberia, with the capital city of Kyzyl being located at the geographic "center of Asia". Last Edit: 9 years 3 weeks ago by Joerg Yoki. I have delete the message. Wow,never heard of those countries. Great stamps Jeorg. Can anyone explain what deerhounds have to do with Touva or Karakalpakstan or Congo (which BTW is the only one I've heard of)? Perhaps these are nations of fervent dog lovers! I'd be interested to know the context or the reasons for their choices of our favourite breed. Who knows, maybe there are pockets of deerhounds in these places that we don't even know about? How cool would that be? Sorry but this one from Touva looks more like a Wolfhound, much bigger bones, though I could be wrong. Nice stamps. I have a few also. Difficult to find here. Many thanks for your interest on the stamp collection. I will post more scans from stamps and covers in future. 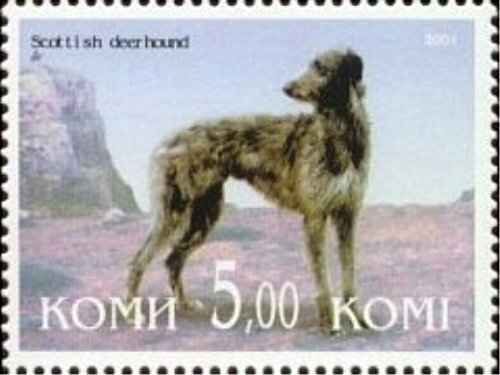 Of the stamp from the Tuva Republic is print "Scottish Deerhound". I think it is a great dog (DH) or you have right and it is Irish Wolfhound. But is the head from the Irish Wolfhound dog not bigger?? 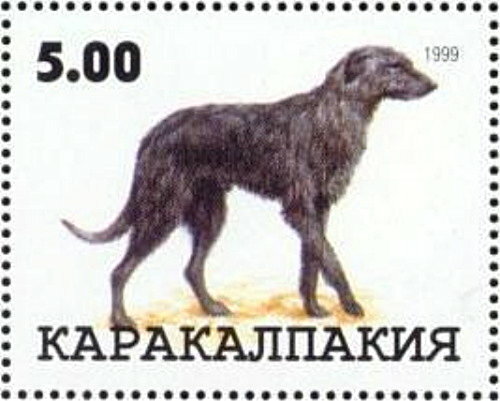 I think in this countrys (Congo, Karakalpakstan and Touva) gives few Deerhounds. The stamps are a source for money for the states. The Republic of Tatarstan is a constituent republic of the Russian Federation. Tatarstan is located in the center of the East European Plain, approximately 800 kilometers (497 mi) east of Moscow. And the last new Deerhound stamp for today. Komi is situated to the west of the Ural mountains, in the north-east of the East European Plain. Many thanks for your message and many greetings on your mum. IÂ´m collect stamps only ca. 40 years. I have 2 new Deerhound stamps in my collection. Eynhallow is a small island, part of the Orkney Islands, off the north coast of Scotland. 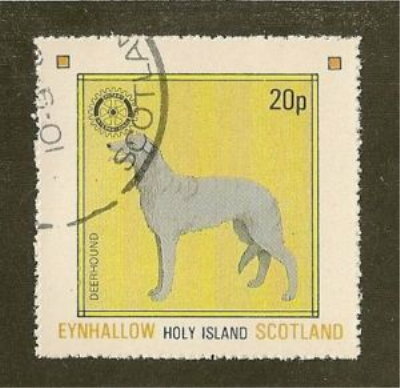 This the second new Deerhound stamp for today. Mordovia is a federal subject of Russia. The Republic Mordovia is located in the eastern part of the East European Plain of the Russian Federation. The western part of Mordovia is situated in the Oka Don Plain. The eastern and central parts is situated in the Volga Elevation. Amazing Joerg, I don't know how you manage to find so many DH stamps?